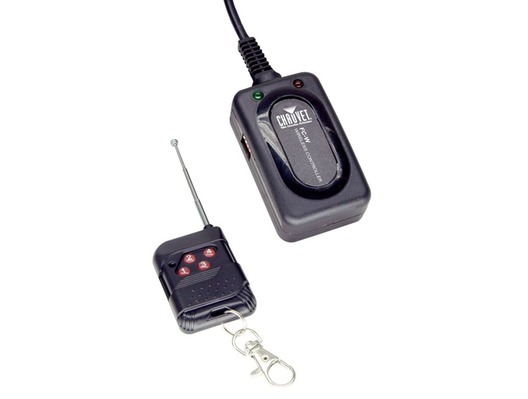 Chauvet FC-W is a wireless remote control compatible with the Hurricane series or Chauvet smoke machines/foggers. Incorporating 4 buttons which can control 4 different fog machines independently (separate receivers are required). Two inbuilt LEDs are uses to indicate whether the smoke machine is heating up or ready for operation. These wireless controllers are an effective way of extending the range of your smoke machine and ideal for mobile DJ's who may want to have the smoke machine a distance from the DJ booth.